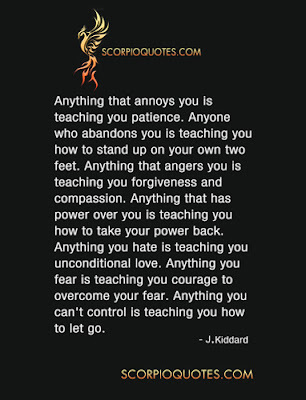 Anything that annoys you is teaching you patience. Anything that has power over you is teaching you how to take your power back. Anything you can’t control is teaching you how to let go.